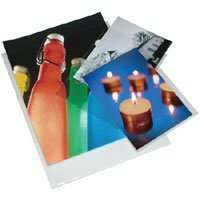 The Print File 4x6" High Clarity Presentation Pockets - 100 Pack features 6 mil. polypropylene and is PAT passed. The pockets are sealed on three sides and include a 1/16" lip for easy insertion of prints. The pockets are ideal for presenting digital prints.